John Alcock was both on 11 April 1715 in London; he was the third of eight children. He joined the choir of St Paul's Cathedral in 1822, and after seven years he became the amanuensis, and later apprentice, of the blind organist John Stanley. Alcock deputised for Stanley at St Andrew's, Holborn and from 1734 at the Temple Church. He married Margaret Beaumont at All Hallows', London Wall on 20 May, 1737, and was appointed organist of St Andrew's Plymouth shortly afterwards. In 1742 he moved to St Laurence's Church, Reading where he was organist for seven years. During both these appointments he had published harpsichord music, songs, some sacred works; the publishing of six concerti grossi was delayed until the end of 1750 after which time he had been appointed as a Vicar Choral, Organist, and Master of the Boys of Lichfield Cathedral. Alcock arrived in Lichfield towards the end of January 1750 with great intentions to improve the quality of the musical performances in the Cathedral, however his plans were foiled by 'unruly choristers and gross absences by the self-interested vicars'. By 1753 the situation between Alcock and the other vicars had grown sufficiently to be mentioned in the Chapter Acts books. It was not until 1758 that relationships become so strained within the choir that something had to give, and it was Alcock's position as Master of the Boys which he rescinded in August 1758; an example of the state of the relationship can be seen in a transcript and scanned copy of a petition from the Vicars Choral against Alcock dating from 1758. In 1760 he was formally admonished, and he duly resigned his post of Organist (costing himself only �4 per year) but he was able to retain his house and income as part of the Vicars Choral freehold. Despite his personal problems within the choir, Alcock had gained his B.Mus. from Oxford in 1755, and had written an autobiographical novel entitled The Life of Miss Fanny Brown. After resigning as Organist, he took a post as Organist in Sutton Coldfield in 1761 which he held until 1786; during this period he was also Organist in Tamworth from 1766 until 1790. Throughout his time in Lichfield, Sutton Coldfield, and Tamworth two of his twelve children, John and William, deputised for him. Indeed it was regular deputising for his father that led the younger John to be dismissed as a chorister from Lichfield in 1755. 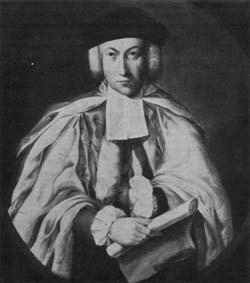 Continuing his academic life, Alcock gained his DMus from Oxford in 1766. In the 1790s Alcock assisted Samuel Arnold with his collection Cathedral Music, and he maintained an interest in English Church Music until his death on 23 February, 1806 after which his memory and music were soon forgotten.